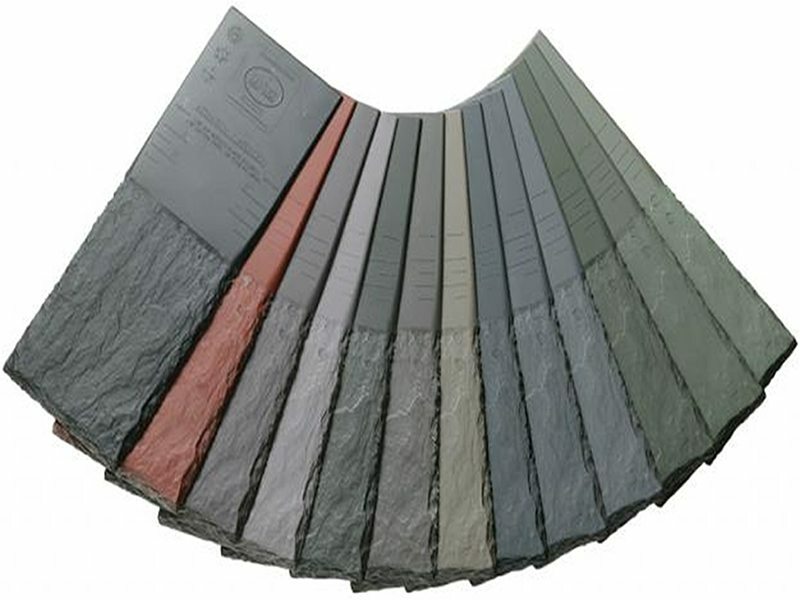 Slate is arguably the crown jewel of roofing materials. The durability, longevity, and wide array of colors and styles of installation make a slate roof a great choice for protecting your home with an investment that will function for generations to come. Slate is a traditional and time tested roofing material dating back over a millennium. Slates are stone and therefore are as permanent as any stone. For this reason, slate roofs commonly last well over 100 years with minimal maintenance. The practical purpose of any roof is to protect the interior, the contents and the occupants of a building from rain, snow, heat, and cold. In addition to these practical considerations, the roof should add to the appearance and character of the building, and the passing of time should only enhance its beauty and add to its intrinsic value. 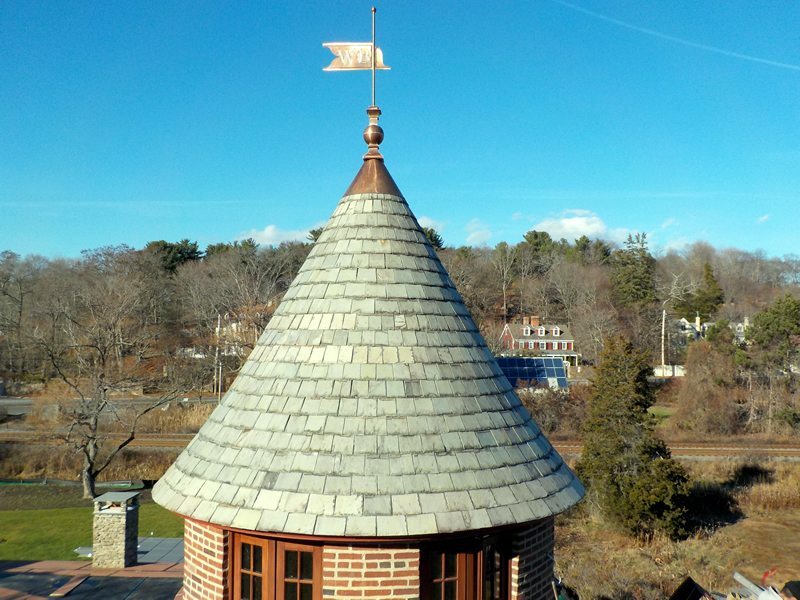 Slate gives the owner and roofer a much broader artistic palette than other roofing materials. 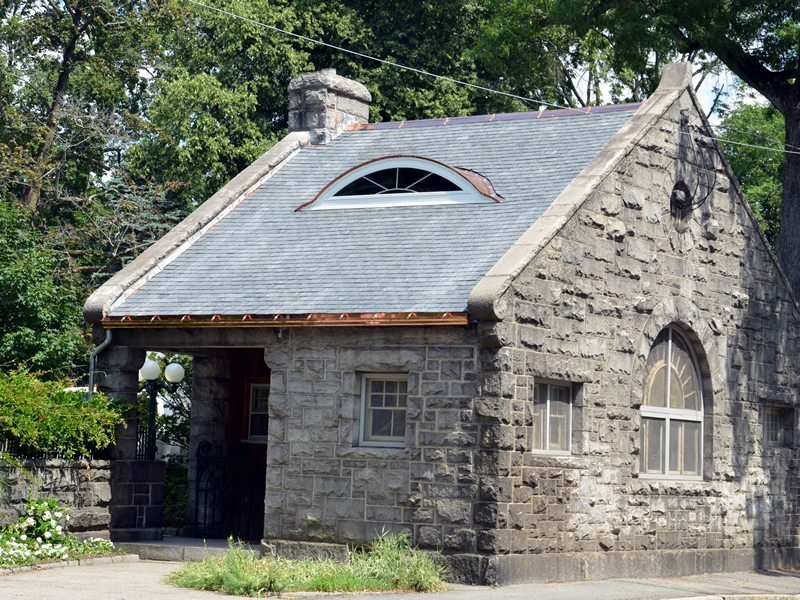 As you will see in this section over the years many distinct styles of slate roofs have been developed. Some of these styles roofs have come from necessity while others have come from aesthetics. Upon exposure to the weather, all slate is changed slightly in color. The extent of this color change varies with different slate beds, being barely perceptible in certain slates. Those slates in which color change but slightly are classed as "permanent" or "unfading". Those in which the final result is more marked and varied are known as "weathering slates". In the case of long lasting roofing materials such as slate, the weakest point inevitably ends up being the roofs flashing's. 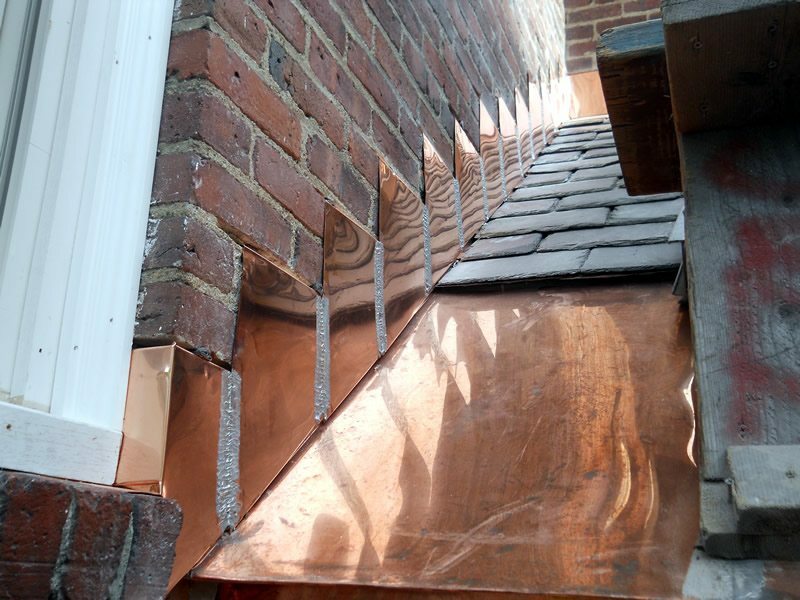 Flashing's are the material used as a layer of protection between roof connections and projections such as chimneys, dormer walls, and valleys. Copper is by far the best material for flashing a roof. Copper Flashing's will last on average between 80-100 years. Other Flashing materials such as the Tins commonly employed by "bargain" roofing contractors require periodic painting and must be sealed using caulking. Gutters exist to preserve your home. They transport rain falling off each facet of a roof and deliver it to a place where it will not damage a home's structure. Even in the most arid of zones, homes should have some type of rain gutter. However, for the most part, they are a "walk by" component of the home. Copper gutters leave the realm of utility and enter the arena of architectural detail. 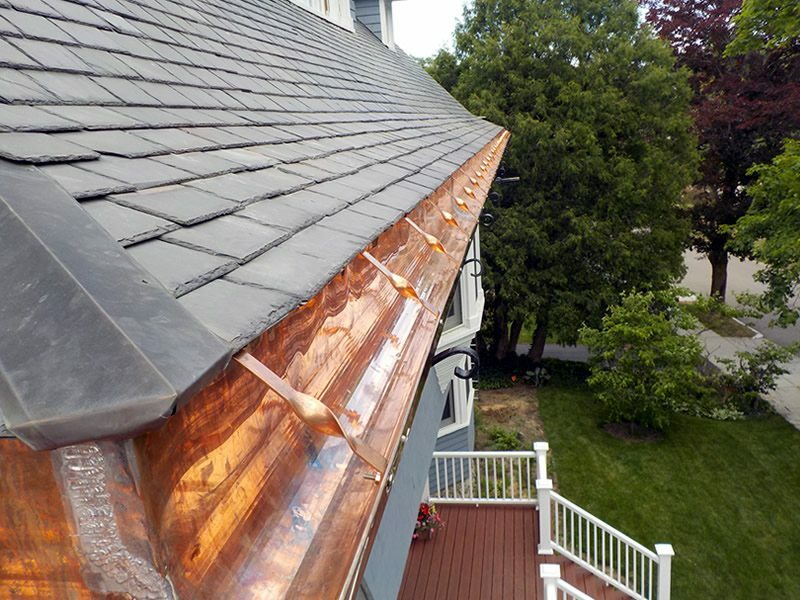 Most copper gutter jobs are custom, allowing plenty of room for creativity. In the right hands, downspouts and catches take the look of sculpture. Is your Contractor a “Neanderthal”?